$19,000 This kitchen featured 32 glass cabinets, about twice the normal large kitchens that we work with. 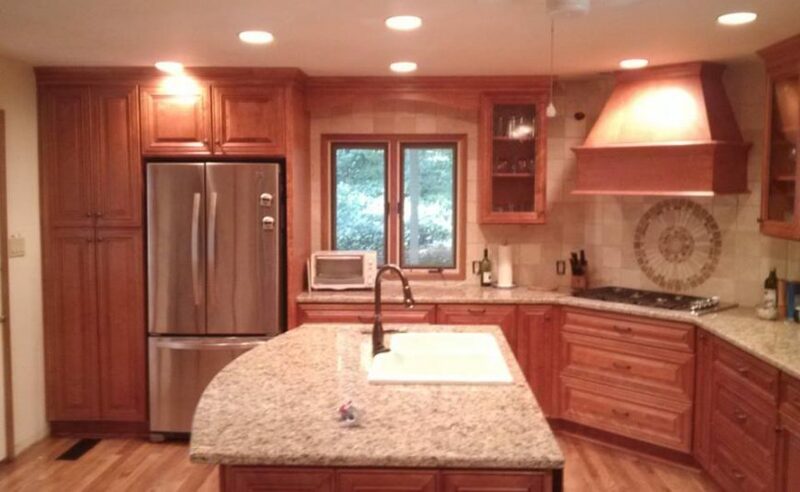 Kitchen designed and expertly installed with granite countertops for only 19k. $18300 Sandy Springs home on Bridgwater. Over 120 sq. ft. of upgraded granite. Double 50 qt. trash pull, spice pull, wooden lz susan, 2 baths, wine bars. Island seats 6, seedy glass door cabinets. This was done in our Charleston White. 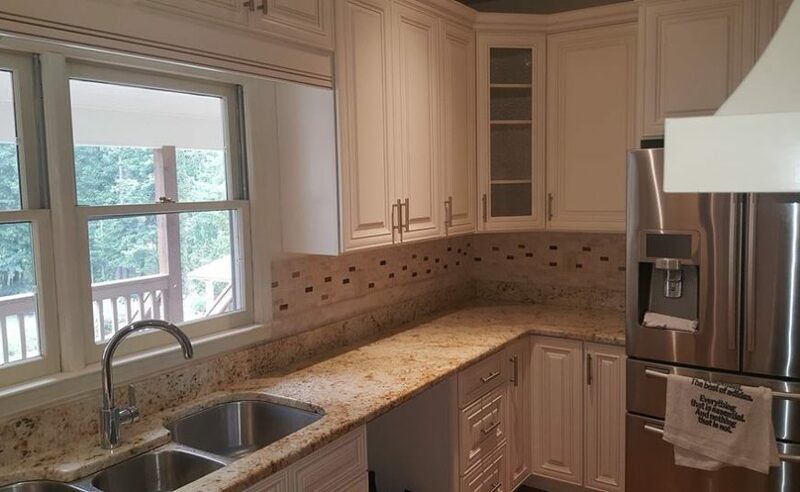 $14,500 Charleston Cherry Kitchen in Sandy Springs. 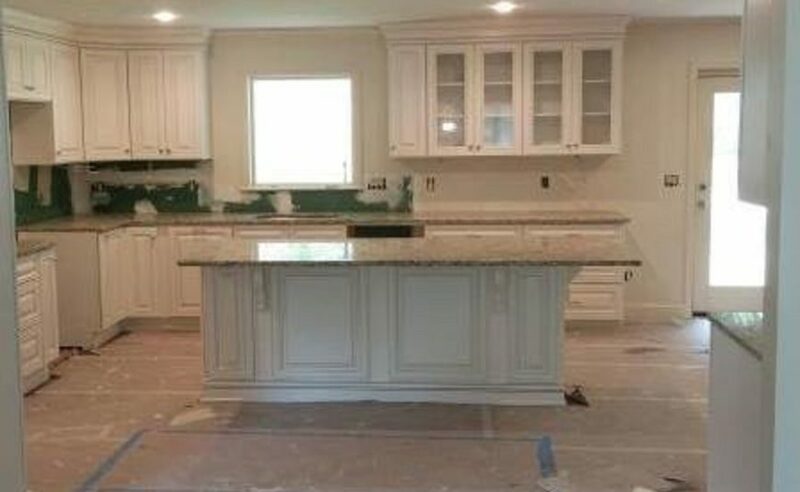 Cabinets, granitetops including island. Fully custom kitchen. $14500 with granite. 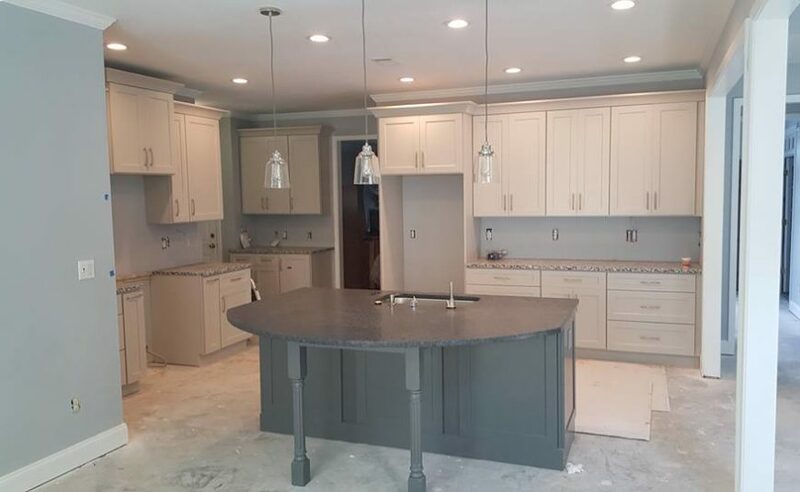 $14,000 Our new Shaker Dove cabinetry with a Shaker Grey Island. The granite has a leather finish. $17,000 Charleston White with a Charleston Saddle island. 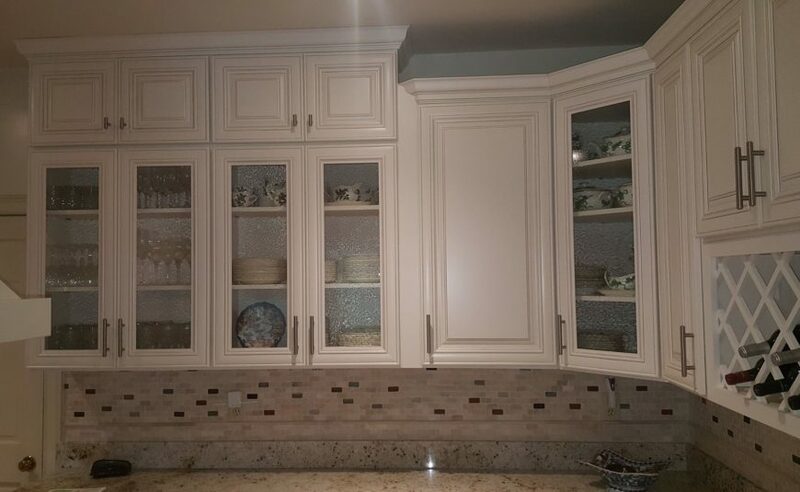 Job completed with new cabinetry and granite.